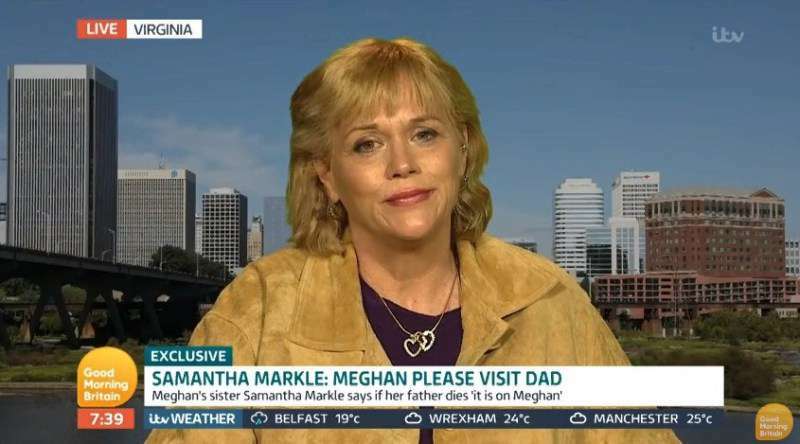 Samantha Markle Suddenly Changes Her Tone Speaking About Meghan. What Is It? Some Hidden Twist? Meghan Markle’s half-sister Samantha speaks on public again, days after she accused the new Duchess of neglect attitude towards their father. The sisters’ feud doesn’t calm down between Meghan and Samantha Markle. Sam has been criticizing her younger sis for any tiny detail since her marriage to Prince Harry. Samantha repeatedly slams Meghan on Twitter and blames the Duchess for not paying enough attention to their sick dad after surgery. I’m glad you have so much time to show off your tributes to others, ignoring your own father! If our father dies, I’m holding you responsible, Meg! 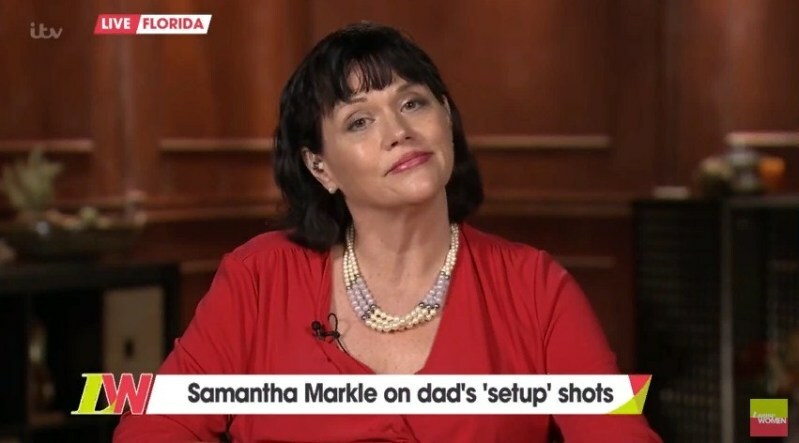 On Monday, July 23, Samantha Markle was interviewed by Good Morning Britain. 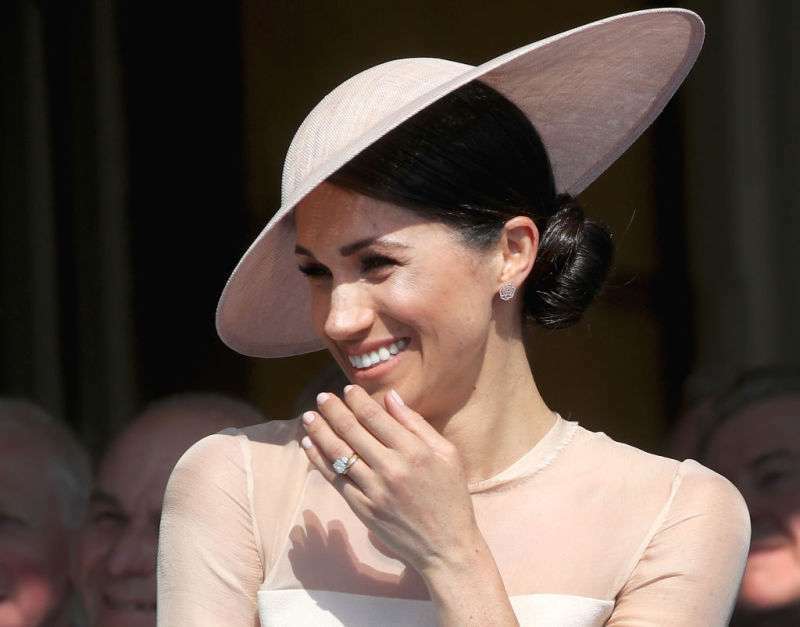 But this time, Meghan’s estranged sister seemed to change her tone while speaking about the Duchess of Sussex. In her emotional interview, Samantha urges Meghan to contact their father Thomas. She added that Mr. Markle has gotten stronger after his health issues, but he’s still having a hard time, mostly because he worries about Meg. I guess dad just wants to embrace her and have some closure on the distance and the misperception and really let her know that he loves her. I think we all now have a really good idea why the Duchess doesn't want to talk to her dad's side of the family. Their 15 minutes are over. Stop reporting what they do. Who knows, maybe Samantha has finally changed her opinion about Meghan and will try to improve her relationship with the younger sister. We really hope the family feud will be over, and all of them including Meghan, Samantha, and Thomas Markle will stop building walls between them.